2015 was a transitional year that saw us reorient the company for long term financial sustainability. As mentioned in our Fall 2015 investor letter, we reduced staffing to better match our current production, and increased productivity of remaining permanent staff. Francisco Agapi, our new field supervisor and forest technician, stepped in and executed the transition. On a mission-related note, our partner community Arimae finally secured their land title after years of legal battling. Financially, we cleared any potential liabilities to the Panamanian government regarding employee benefits. As we reduced the number of full time staff, we gradually made their required severance payments, fulfilling that last ones in Q2 of 2015. 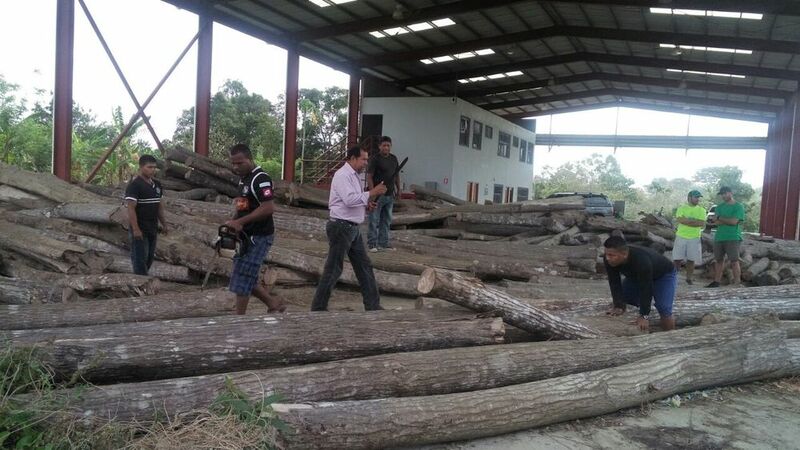 We reduced overall expenses by not investing in new plantings and by reducing labor costs associated with maintaining our current timber and plantain parcels. Expenses should continue to decrease in 2016 as maintenance associated with both timber and plantain parcels is reduced. Revenues increased in 2015 to $3860 owing to increased plantain sales and nearly $1000 from the sale of plantain seeds. Revenues were $3860, an increase of $1220 or nearly 45%. This was driven by an increase of 3600 unit sales of plantains or 52%, and the sale of $970 of plantain seedlings, a new source of revenue. The average price for plantains was down by more than 25% as the more lucrative local market became awash in plantains. However, wholesale prices increased from $.14/unit in Q1 to $.16/unit by Q4. Expenses were nearly $42,000, a decrease of $32,000. This is a reflection of no new plantings occurring and a reduction of staff salaries, especially in the second half of the year. The monthly expense rate that was running at nearly $4000/month for the first six half of 2015 was cut down to less than $2000/month for the last quarter. 2016 projections - Revenues from plantains are projected to increase to $5000+ on the basis of new production from younger plantain plantings, and a similar amount of plantain seed sales. Timber revenues are TBD. Expenses to maintain the timber (cleaning, pruning, and thinning) are projected to cost between $10,000-$13,000. Plantain expenses should be at the $3000-$4000 range. Administration and logistics is another $4000-$5000. So, on the low end, we expect 2016 expenses to be around $18,000 on the low end, and around $22,000 on the high end. Balance sheet and cash flow - The CD held in our Panamanian bank account matured and was used to repay loans made to the company by co-founders Parrucci and Meyer. There was after the repayment of the loan roughly $9000 in the bank accounts between Panama and the US. There is no debt and we have no significant potential labor liabilities owed to the Panamanian government. For 2016, we will need an additional $10,000 in investment, with Parrucci and Meyer already having committed the $9000 in the bank. There is another $1000 in the PE Foundation bank account in the US. Kiva “loans” - The pair of Kiva loans in 2013 totaling $18,000 were paid down by $2500 in early 2015, leaving a balance of $15,500. An additional $36,000 of Kiva loans were raised in 2014 - six at $6000/each. One loan defaulted completely and we advised Kiva that the majority of the others are unlikely to be paid in full. The Kiva loans are not secured by any PE assets, are not backstopped by equity investors, nor do they have rights to any cashflow. We have invested/floated an additional $5000 in the Kiva projects that we expect to pay back first before repaying Kiva. Equity capital raised in 2015 - Planting Empowerment, S.A. raised a total of $44,165 in 2015--$15,000 from non-PE founders and board members. Advisory board members contributed $13,000. $16,156 was funded from co-founders Meyer and Parrucci. 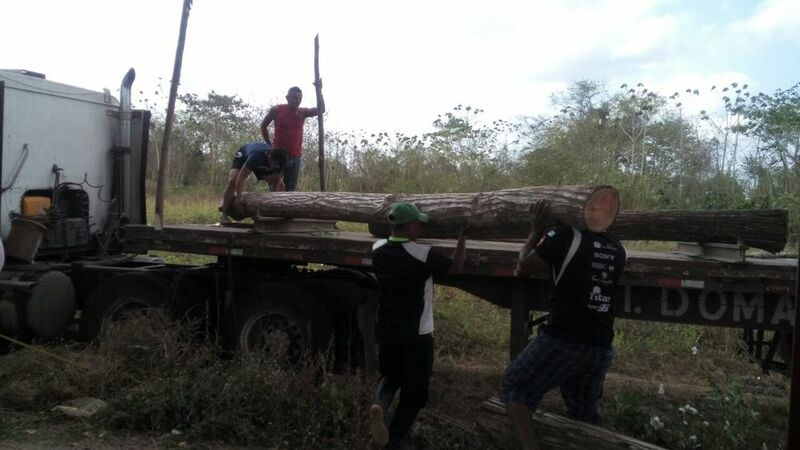 Timber sale: PE contracted with the community of Arimae (host to three of its plantations) to thin approximately 10 hectares of mixed native species in December 2014. The goals were to: 1. Practice thinning operations 2. Test the market 3. Make a profit. Well, we achieved two out of the three finally in April after selling the majority of the thinnings to a local furniture factory. We did take a substantial loss (not achieving goal 3), but did learn a significant amount about thinning operations and the market. Related to the market, there is a very thin to non-existent domestic and international market for the native species in our plantations. We started by using a broker, then started negotiations with a buyer in Mexico only to have the economics not make sense (not enough volume), and finally, found an intermediary who connected us with the furniture factory. We will be able to go to them directly to sell in the future and are giving them free product to test and find potential new uses.